Hey, thanks for reaching out. Below is a simple form with space to fill out your name, email address, the subject of your message, and of course, a box for what you want to say. Hit send to send the message to me! Don’t forget to click the captcha! I don’t want spam any more than you do! If you want, you can also message me on Facebook, tweet @ or DM me on Twitter, follow me on Instagram, or just comment here on any post you want. I’ll get back to you! I’ve also created a Discord server for this website! Discord is a free text and voice chat medium that’s great for interaction among communities. I’ve intended this to act as the (seemingly) first Discord server for expats. I know that Discord is meant for gamers gathering to discuss and group up, but I thought it would be very useful to have an open conversation via a Discord server for expats. Though specifically focused on Americans living abroad and the content of the website, the server is, of course, open to everyone. 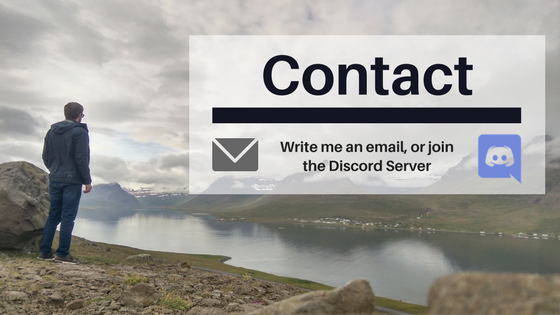 If you’re living abroad, want to live abroad, or are just interested in expats, feel free to join the Discord server! If you already have Discord, click the icon below to join the Abroad American Expat Discord server. I’ve created some basic channels: General Discussion which is open to nearly anything (keep it civil! ), and Expat Discussion which is meant for discussion all expat/immigrant/living abroad topics. If you don’t have Discord yet, click here to head to the Discord website to create your account, download the app or use it through your web browser.